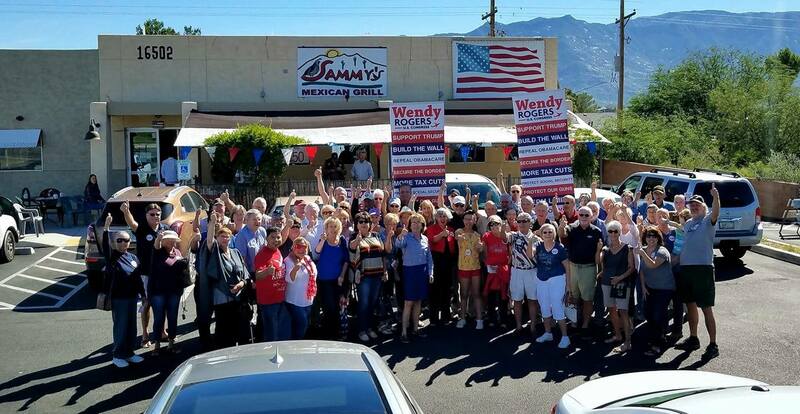 In a recent Breitbart News Saturday interview, Republican Wendy Rogers shows herself highly focused in reclaiming Arizona’s first congressional district. Rogers, who is a retired US Air Force lieutenant colonel, spoke with Matt Boyle from Breitbart for almost 20 minutes detailing her background, the success of the campaign, the failures of Democrat Tom O’Halleran and what’s at stake in this critical US House race. The retired Colonel Rogers emphasized that Democrats are scrambling to hold the seat currently held by O’Halleran with over $1.5 million in campaign attacks. She also noted that she has had to take protection everywhere she goes on the campaign trail even taking out an order of protection against a belligerent Democrat stalker. The interview aired Saturday, October 6 on SiriusXM Patriot 125 but you can listen to the full interview here. Lt Col (ret.) 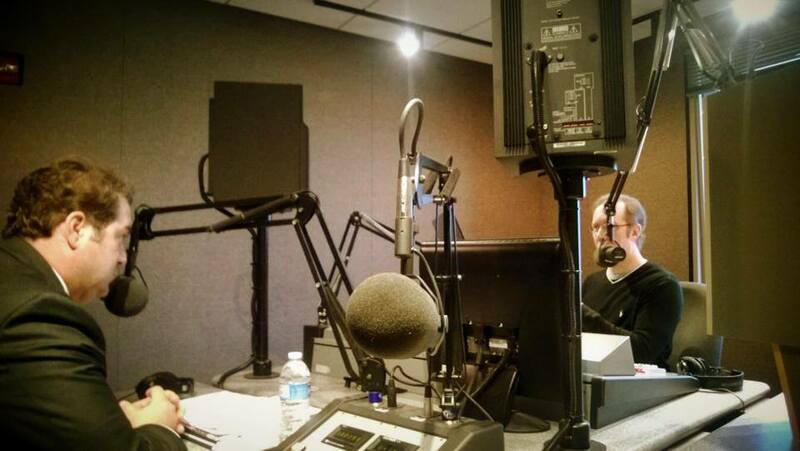 Wendy Rogers was interviewed on Flagstaff’s KAFF Monday morning discussing her campaign for Congress as well as a handful of issues. During the interview, she explained how she covers Arizona’s First Congressional District which is one third the size of Arizona. Rogers uses her airplane and a collapsible bicycle which she packs in the fuselage of her Cherokee 180 single-engine plane. She covers about 100 homes a day when she’s out in the field. Col Rogers also discussed the most important issues which she hears first-hand from her encounters with voters. Issues include the Second Amendment, border security, jobs, the economy and most prominently, national security. When asked about her career, Col Rogers went into detail about her 20 years of service flying C-141’s as one of the first women pilots in the US Air Force. Both she and her husband Hal each served 20 years as career officers. She also described how US military members are treated by host countries depending on who the Commander in Chief is. When asked what she would like to accomplish and achieve in the US Congress, her most important priority would be to protect and defend the United States. She swore an oath to the US Constitution during her military service and would like to serve the country again in the US Congress. Col Rogers also noted that she would like to serve on the House Intelligence Committee, an assignment she says she is aptly qualified for and that decides matters of life and death. She also would like to serve on the Resources Committee because of Arizona’s abundance of beauty and natural resources. Sunday’s horrific terrorist attack in Orlando also came up during the interview. When asked about a “fix” for recurring attacks like this, Rogers quickly responded, “We are at war and until you identify the threat and are willing to address it as it is, which is an infiltrated threat in our country, then we have no ground to prosecute that strategy and defeat the enemy.” She said President Obama has not recognized the threat. She also said it is not an issue of gun control or discrimination against the LGBT community. She identified the real problem as the perpetrator and not the tool (guns). The conversation concluded as Col Rogers described the beauty and blessings of her daughter’s wedding at Snowbowl over the weekend. Both Wendy and Hal have two children and three grandchildren. They have a retirement home in Flagstaff and have been married for 38 years. Col Rogers is the only woman running in a field of seven men. Primary Election Day is Tuesday, August 30, 2016. You can read more about Wendy Rogers at WendyRogers.org. Debbie Moak and Seth Leibsohn discuss the adverse effects of legalizing Marijuana for recreational use in Arizona. Both Debbie and Seth appeared on Newsmaker Sunday with John Hook. Here is a great assessment by my political consultant peer Sean Noble regarding the current state of the Republican Party and what is driving the Trump faction in the GOP. Sean recently appeared on Carey Peña Reports which is available on iTunes podcasts. Although the interview was recorded on this last Tuesday with the prediction that Marco Rubio would mount a comeback in Florida, the rest of the assessment is spot on when it comes to what is driving the frenzy around Trump and how it will redefine or even destroy the Republican party. I agree with Sean on this assessment and its one of the reasons why I cannot sit back and allow the GOP to be hijacked out of emotion and without a good dose of critical thinking. Another point I agree with Sean on is that it is only about 20-25% of the population that is driving the Trump movement – a very loud and angry vocal minority. Here’s the interview and be sure to subscribe to Carey Peña Reports via Inspired Media 360 available on iTunes. PHOENIX – Let’s meet former Arizona House candidate, Aaron Borders, who ran in Legislative District 29 in Phoenix’s West Valley. After nearly two years of campaigning in an uphill battle, Aaron came surprisingly close to winning in an area where he was not supposed to even come close. Zeyna Aouad, the AZGOP’s Voter Data Director, interviewed Aaron to learn more about how he managed to persuade so many voters in a predominately Democrat area to vote for a Republican. Aaron’s district is located on the west side of Phoenix, one which has consistently elected Democrats to the House. On November 4th, the election results showed that Democrats would keep the two seats; however, the race this time was much closer than expected. This should be very concerning to Democrats, and it signals they’re losing their traditional stronghold there. In this district with only 20 percent of the voters registered as Republican, Aaron earned 30 percent of the vote. That means he not only had the expected Republican support but was tremendously appealing to independent voters. Unfortunately, he was bested by the next highest vote getter, the Democrat who received 34 percent of the vote even though Democrats make up 38 percent of the electorate in the district. So not only did the Democrat underperform miserably, Aaron overperformed by a 50 percent margin. Were it not for such a lopsided district, Aaron’s efforts would have rewarded him with a seat in the Arizona House of Representatives. For Aaron, his ability to appeal to independent voters and ethnic groups won him many votes. “We spent a lot of time in the first 6-8 months polling and finding out what the issues were. Then we picked the top 3 and came up with solutions. We then stayed away from jumping into and interjecting our opinions in every hot-button day-to-day topic and stayed focused on the 3 main issues and 3 solutions.” He also credits a strong social media presence for engaging different types of voters. During his campaign, his team was able to knock on tens of thousands of doors. When asked what he was most proud of this election cycle, he said he was most proud of his team. “They looked past the political numbers and busted their tail and in the end in a Democrat district that has twice as many Democrats as Republicans, we lost by only a small margin. None of that could have happened without the support of the grassroots team that believed in the strategy. Voters have not heard the last from Aaron: he’s just been elected to a two year term as 2nd Vice Chair of the Maricopa County Republican Committee, and now shares leadership responsibility for Maricopa County’s nearly 700,000 Republican voters. Wednesday, Republican House Majority Leader Kevin McCarthy was on the Hugh Hewitt Show with Congressman John Campbell. McCarthy and Campbell both gave a few minutes to assessing US House races across the country and began their conversation with our Arizona. According to Majority Leader McCarthy, Arizona has three congressional races in play and likely pickups. Top of the list is CD-1 where Andy Tobin is challenging Kirkpatrick; CD-2 where Martha McSally is coming on strong against Ron Barber and finally CD-9 where Wendy Rogers has a good chance of defeating Kyrsten Sinema in the General Election. What this means is Republican Congressional leadership is engaged in what is happening here in Arizona. Don’t be surprised if the NRCC throws some resources – money, ads, logistic support, endorsements, etc. – in order to ensure success in winning these three congressional House seats. Majority Leader Kevin McCarthy: Arizona-1, Kirkpatrick seat, this is an R+4, meaning it leans a Republican seat. She has been in one term within here. I think it’s a great opportunity. You’ve got Andy Tobin, they just had their primary, it just got determined. Andy is a conservative over there in the state legislature, actually was the speaker, great individual on all the tough issues. He’s led so many conservative movements there. The second is Arizona-2. This is Barber’s seat, currently R+3. Martha McSally, now Martha came last time less than 1,200 votes from winning the seat. Martha is the first female pilot in combat. She flew the A-10, remarkable woman, served our country so well. She would make such a great member. Those two in Arizona, you’ve got another one in Arizona, I’d say Arizona-9. We’ve got Wendy Rogers is our candidate again against Sinema. She’s a freshmen. This is R+1. All three of those are in play. To ensure victory this November, let’s make sure we get out and work hard to get these fine candidates elected. In case you missed it, friend and conservative champion Sean Noble went head-to-head with Brahm Resnik in a Sunday Square Off exclusive. Brahm continued to push the issue of “dark money” and Sean pushed back defending charitable donations as anonymous free speech protected by the First Amendment. I would further the argument by noting that the media doesn’t go after the NAACP over donations made to that organization. The bottom line is that there are patriots who want to engage in issue advocacy by donating to organizations who can message on an economy of scale basis while having that form of speech protected. In case you missed it, Attorney General candidate Mark Brnovich appeared on KJZZ’s Here and Now with Steve Goldstein on Wednesday. As always, Goldstein conducted an engaging interview asking Brnovich everything from why he has decided to challenge a sitting incumbent, what issues will be a priority and how a small government conservative like Brnovich would govern as Arizona’s next Attorney General. Mark Brnovich delivered focused, consistent and principled answers to Goldstein’s questions with the underlying emphasis of restoring integrity and ethics to the office of Attorney General – just one of many reasons why Brnovich is the best individual for the job. You can find out more about Mark Brnovich by visiting his website at Mark4AZ.com.